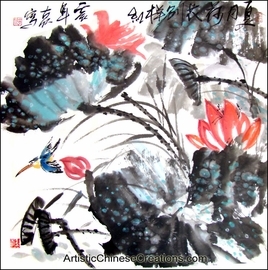 I ordered landscape paintings on scrolls by Wan Mu just a few days ago. You sent a confirmation by e-mail immediately. The order arrived much sooner than expected. The paintings are beautiful, and their application to the scrolls was completed with perfection. These scrolls are for my sister's birthday and I will be very proud to give such a lovely present. I appreciate the wonderful service and products of your company and its employees!